Guess what, absorbent sea creature fans?! SpongeBob SquarePants is coming to your Nintendo consoles later this year, in a brand new title called SpongeBob SquarePants: Plankton’s Robotic Revenge! It’ll appear on the Wii, Wii U, DS, and 3DS, and for all you Canadians out there—the even more exciting part is that it’s being developed by Canadian studio Behaviour Interactive. 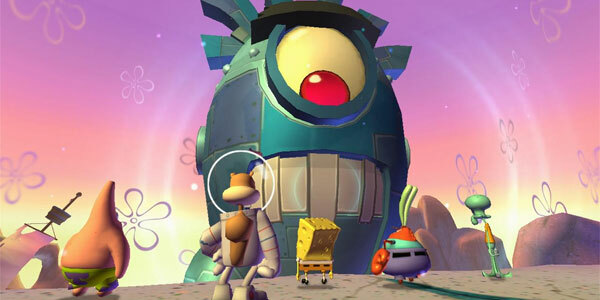 The game will feature SpongeBob facing down Sheldon J. Plankton in third-person, action-adventure style. There’ll be puzzles, combat, and exploring—oh my!—and if the defense of Bikini Bottom is too much to tackle on your own, grab a friend and do it together! Playable characters announced so far are the square sponge himself, along with Mr. Krabs, Sandy, Squidward, and Patrick. The game will be released on October 22nd this year, and the extra special news is that while other consoles will have a max limit of four players in co-op, the Wii U will allow for five people at once—SpongeBob-themed party, anyone? Micah has been playing games since his first pong machine, and has been writing for as long as he could grip a pencil and not drool on the paper. So, for about a week.